Sickeningly Liberal | We're the good guys. 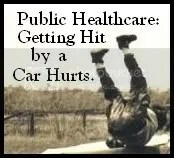 There is a nice website established by the federal government to help citizens understand the Affordable Care Act. There is a nifty timeline that explains how the Act will be implemented in its various phases, a listing of affordable insurance options, a tool to help you evaluate your current plan, and a whole lot of other resources at your disposal. Only time will tell if this act will help to lower the $4.5 trillion that Americans spend on health care each year, but one thing is for certain; around 17% of America will have an opportunity at affordable health care now. Check out the link below. The Affordable Care Act is explained here. Rep. Anthony Weiner will not yield. The James Zadroga 9/11 Health and Compensation Act was defeated late on the evening of Thursday, July 29th. The bill would have provided $7.4 billion in aide to those who were made sick by the toxic debris of the September 11th attacks. Worried about potential GOP amendments to the bill, Democrats decided to suspend the rules before the consideration of the bill, which also changed the required number of votes from a simple majority to a two-thirds majority in order for the bill to pass. This led to Republicans voting ‘No’ at an overwhelming clip to a bill that would have provided health care to those affected by the 9/11 attacks. And collectively America sighs. This procedural faux pas has Rep. Anthony Weiner (D-NY) pissed off. And he will not yield.